The Drovers and Pioneers Trail includes a mix of sealed and unsealed roads therefore a Four Wheel Drive vehicle is recommended. Begin your journey in Mount Isa city in Queensland's vast North West Outback then follow the Diamantina Development Road through spectacular outback scenery en route to Boulia, capital of the Channel Country. Turn right onto the unsealed Urandangie North Road and follow the 'unusual' signs to the remote township of Urangangie, once an important centre for travellers and drovers on the Georgina and other stock routes. Take time to explore nearby waterholes on the Georgina, ideal for fishing and bird watching before following the unsealed South Road loop to Boulia with its rich grazing heritage, pioneering stories and the mysterious Min Min Light. Begin your drive in Mount Isa nestled in the ochre-red colours of the Selwyn Ranges on the banks of the Leichhardt River. Take in the size of the imposing Mount Isa Mine - the World's largest single producer of copper, silver, lead and zinc. While in Mount Isa, visit the Outback at Isa attraction where you can get 'hands on' with mining at the Hard Times Mine, explore Australia's ancient past in the Riversleigh Fossil Centre and discover Mount Isa's pioneering history in the Isa Experience. Visit the onsite Visitor Information Centre for helpful advice, maps and local knowledge. Take a guided tour in the completely restored Underground Hospital and National Trust Tent House to hear amazing stories of this region's innovative pioneers. Enjoy a short scenic drive to Lake Moondarra for great swimming and barramundi fishing or relax with a casual barbecue. The annual Mount Isa Rodeo event is held in August and features non-stop rodeo action in a program of week long festivities. Mount Isa is easily accessed by air with direct flights to and from Brisbane, Townsville, Cairns, Gold Coast and Darwin through Mount Isa Airport. Hire car facilities are available. Drive South from Mount Isa on the Diamantina Developmental Road then take the maintained dirt road (North road) to Urandangie. Proclaimed a town in 1891, Urandangie is where the Boulia, Cloncurry and Camooweal mail runs converged. 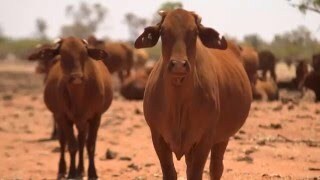 It was an important stopover for drovers taking Northern Territory cattle to market. In its heyday, there were over 400 people living in the area and today there is a permanent population of approximately 14 people! The town consists of a state school, a pioneer cemetery, park, sports area, several houses, "Santa's mailbox" and the historic Urandangie Hotel.The "Dangi Pub" as it is known locally, is an experience in itself and worth the drive to see the various animals feeding out the back. View the room that resembles its own eclectic museum, and have a yarn with the fascinating locals and publican. Camping is permitted in town and there are bush campsites on the nearby Georgina River. Boil the billy and throw in a line at one of the tranquil waterholes or take a refreshing swim. The drive in and out of Urandangie is made all that more interesting with the sporadically placed old car bonnet signs with quirky messages for travellers. Take the Urandangie South Road and travel through Mitchell grass downs and rugged rocky hills to rejoin the Diamantina Development Road. Call in at Dajarra, once the largest cattle trucking depot in the world and now a quiet, laid back town. The older people of the area who remember Dajarra's heyday say that the area trucked more cattle than Texas in the United States of America. Drovers would bring cattle from as far away as Western Australia to put them on the train at Dajarra. Then came the road trains and soon the railway was turned into just a memory. The Post Office Museum and the Dajarra Hotel are also points of interest for visitors. About one and a half hours drive south of Dajarra through rich grazing country is Boulia. The name Boulia, is said to be derived from the waterhole in the Burke River named by the Pitta Pitta tribe. Burke and Wills are more closely associated with the early history of Boulia than any other explorers, having travelled through the area on their journey to the Gulf and return to Coopers Creek. In Boulia, visit the Min Min Encounter for a unique theatrical experience based around the famed Min Min Light phenomenon. Call into the well-preserved Stonehouse Museum which is also home to a Marine Reptile Fossil exhibit - evidence that Boulia was part of an Inland Sea 100 million years ago. See the last recognised Corroboree tree of the Pitta Pitta tribe - a distinctive Waddi tree. Just a short drive out of town is the Barracks Waterhole, site of the Police Barracks (1874-1884). The waterhole is an ideal spot for a picnic, fishing, bird watching or simply enjoying the peace and tranquillity. The Boulia Rodeo, Races and Campdraft is a major event at Easter, and the famous Boulia Camel Races are held annually on the third weekend in July. Stay a few days in Boulia and you'll have time to visit the nearby Diamantina National Park (approximately 186 kilometres south of Boulia). This 507,000 hectare park is home to many rare and threatened species and the park's rich colours are a photographer's delight. Canoe, bird-watch or take a scenic drive around the park. Fishing in the waterholes is permitted and you can catch yellow-belly and Welsh's grunter in the Mundewerra Waterhole. Size and bag limits apply. A Four Wheel Drive vehicle with high clearance is necessary as many outback roads are unsealed and wheel ruts can be deep. Take extra fuel, food and water. Open all year however wet weather may cause temporary closures. Visiting is recommended from April to September. Camping is permitted at Hunters Gorge and Gum Hole camping areas. Your return journey to Mount Isa is via the sealed Diamantina Development Road. View the ever-changing landscapes where long stretches of grazing land are broken by rugged rocky outcrops. Along the way you may spot local birdlife to include Wedge-tail Eagles, several types of Hawks, Emus, Brolgas, Cockatoos and Parrots just to name a few. Also keep an eye out for the quirky 'Bicycle Tree,' an example of the outback sense of humour!